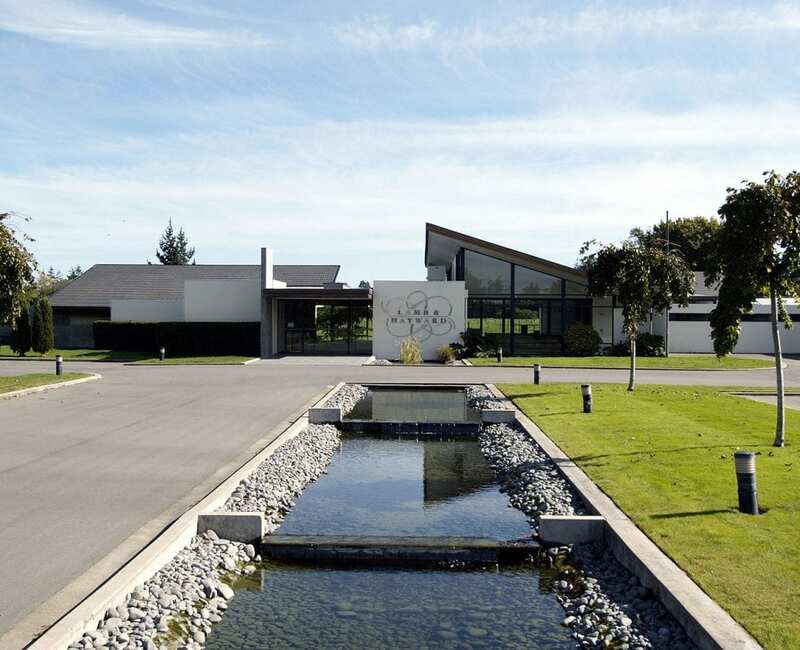 Wai-mana at 92 Kippenberger Avenue, Rangiora was built in the year 2000 to provide a service for the growing North Canterbury area. 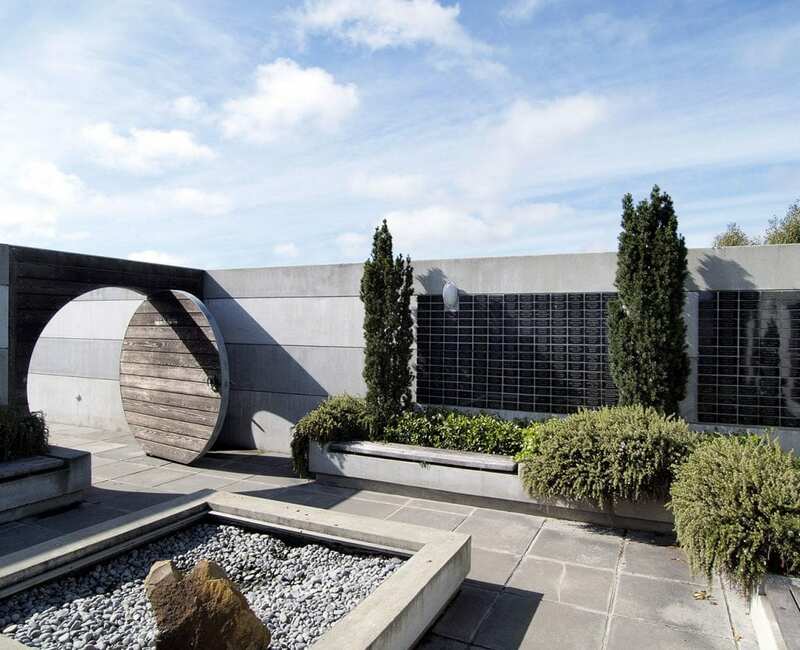 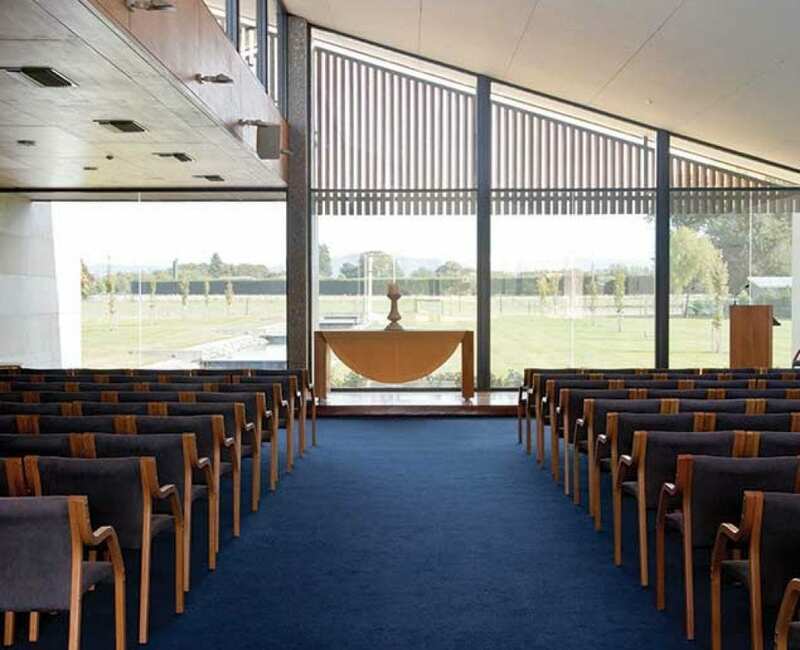 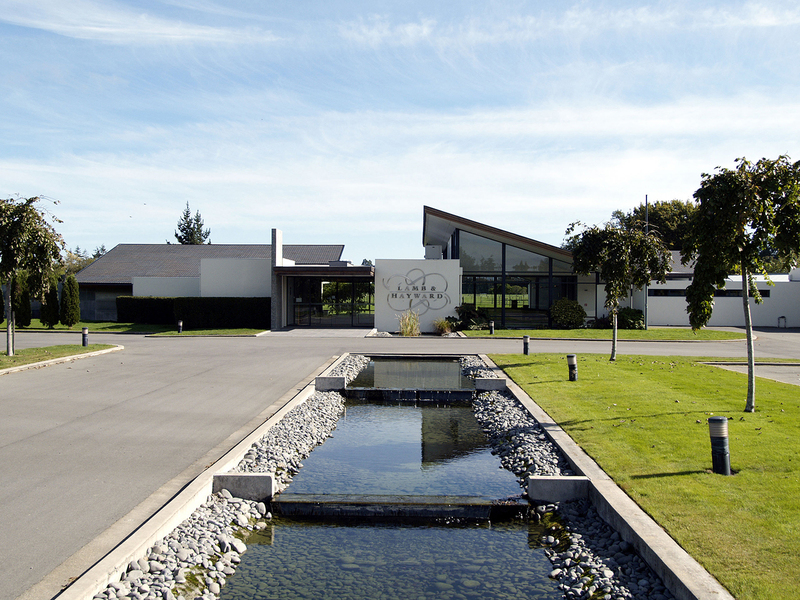 The Rangiora Chapel maintains the company’s commitment to style and quality, as well as including the most up-to-date design features. The award-winning contemporary building is set in 1.6 hectares of lawn, hedges and trees, in harmony with the surrounding rural landscape. 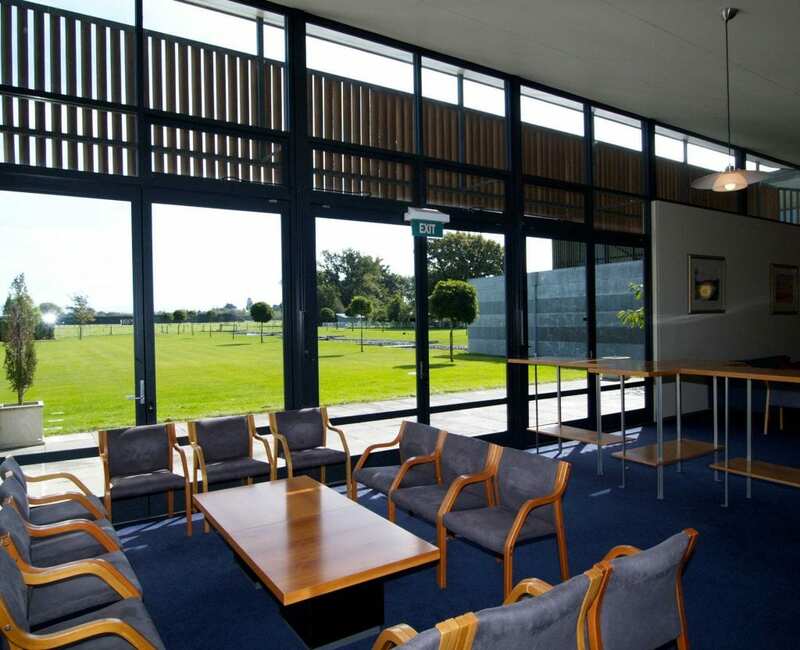 The building incorporates materials such as polished granite, cedar and matai veneer, and sweeping floor-to-ceiling windows which provide a view across the fields to the mountains. 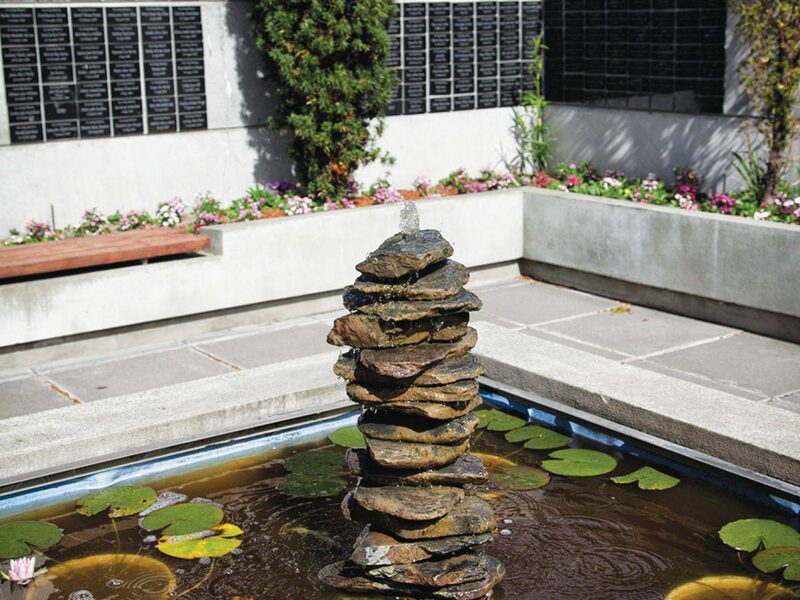 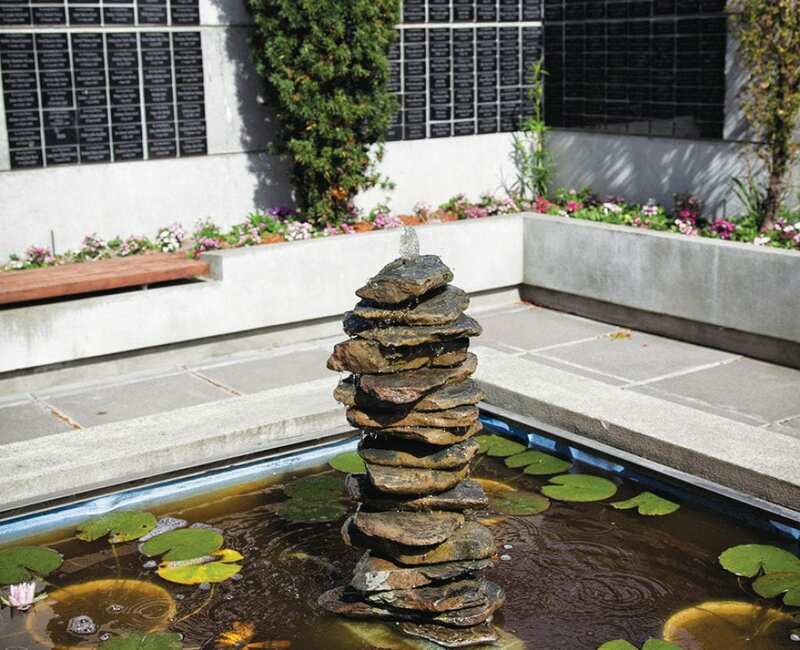 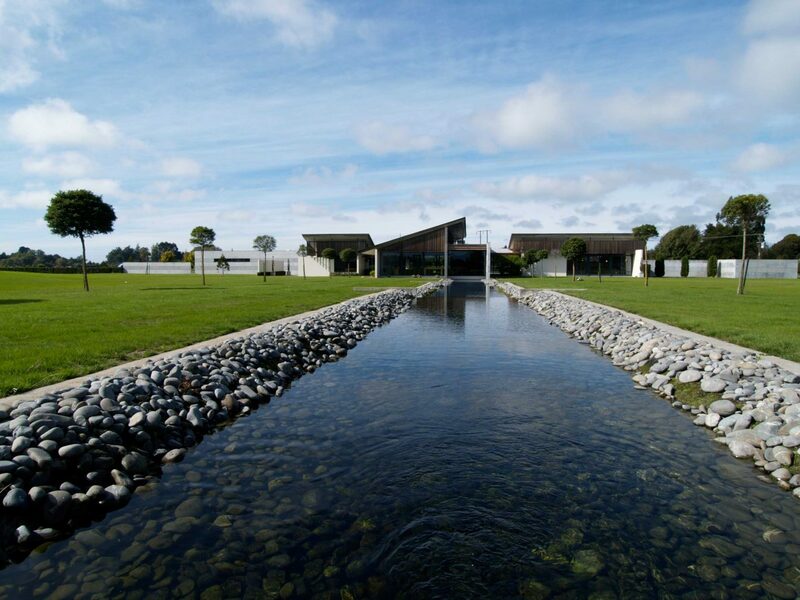 Extending out from both sides of the building is a 140 m long water feature lined with river stones, designed to resemble a water race. 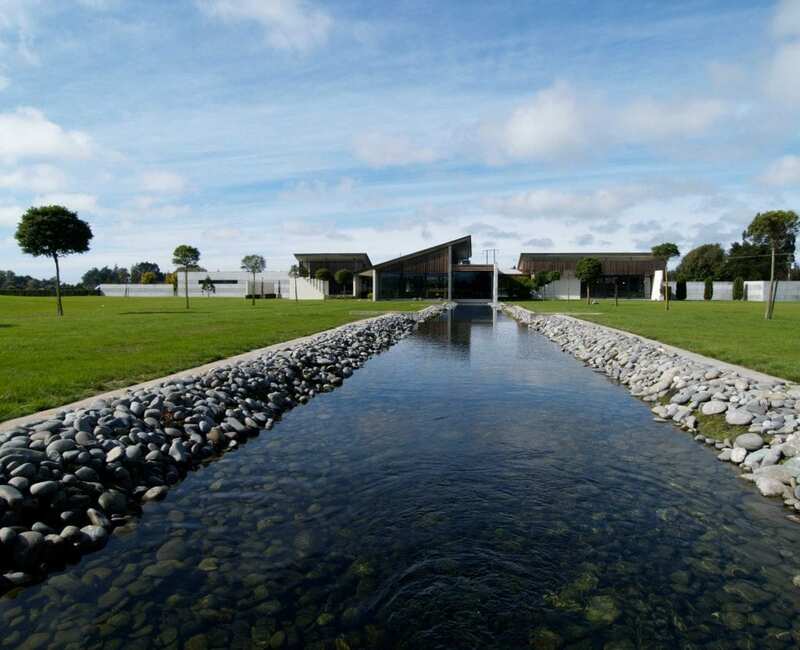 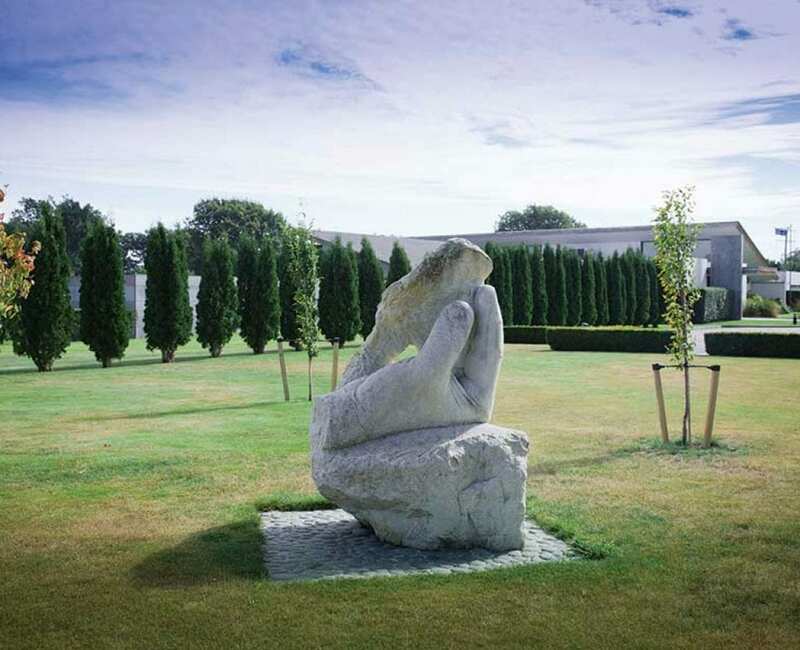 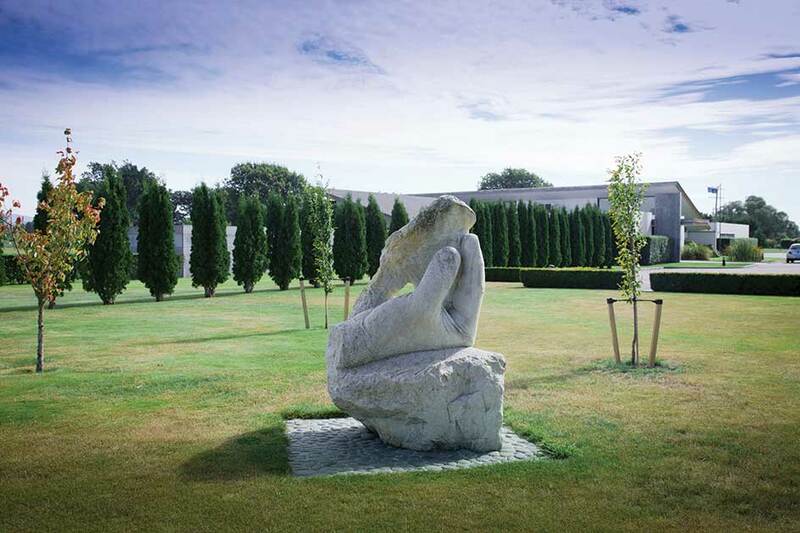 The name Wai-mana, meaning ‘respectful waters’, was chosen to reflect the chapel’s location between the Waimakariri and Ashley rivers. 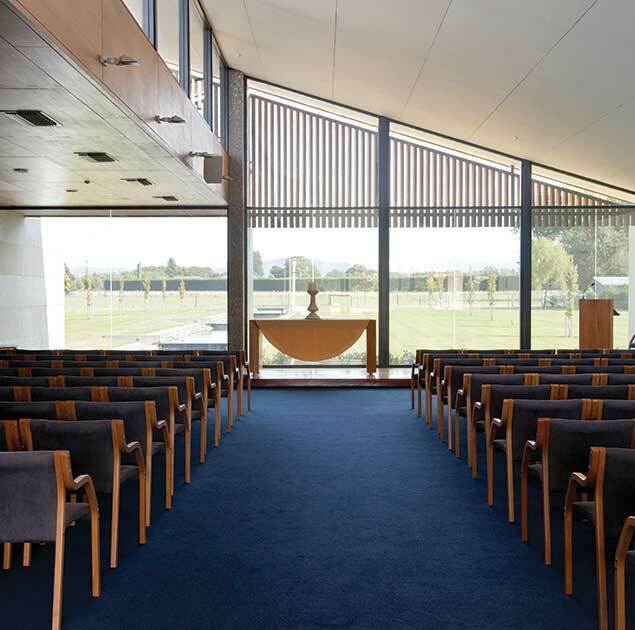 The main chapel seats 200 and looks across the fields toward Mt Thomas. 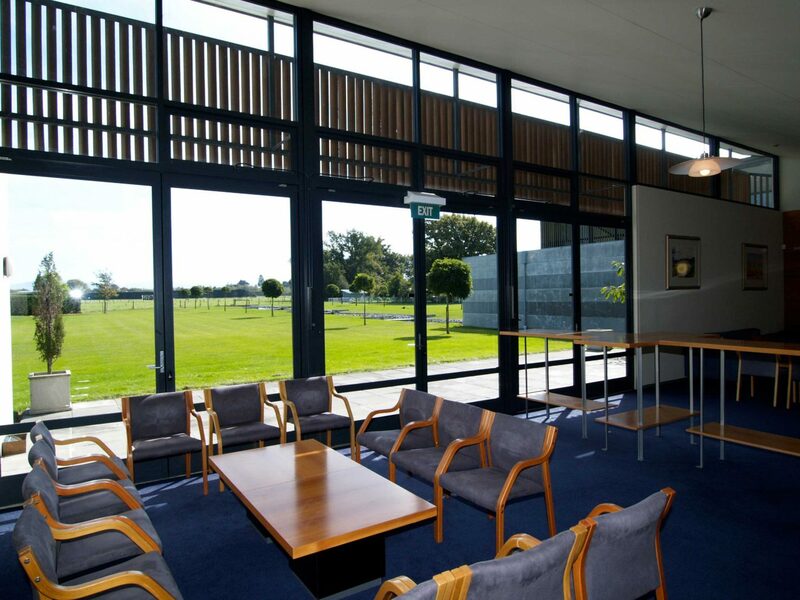 It includes a fully serviced commercial kitchen for its large refreshment area. 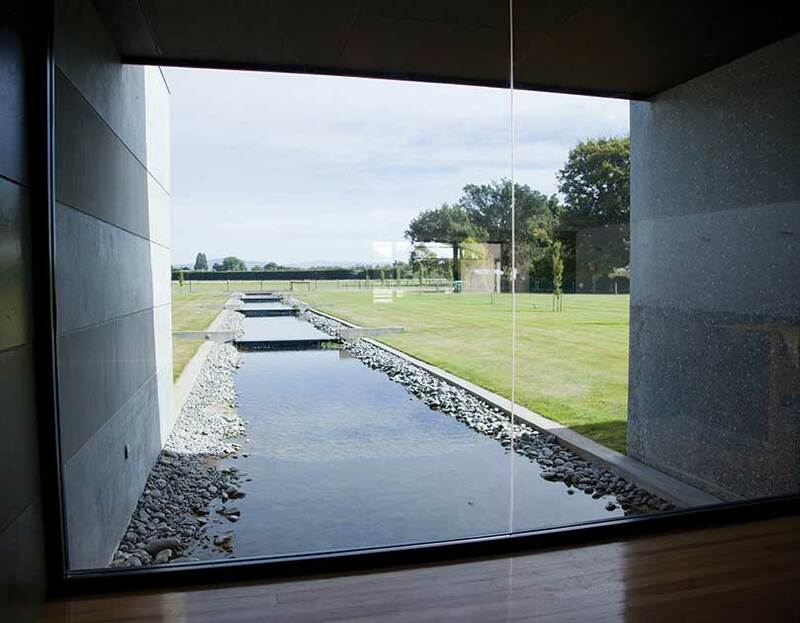 In fine weather the glass doors open out to the terrace, giving it a feeling of light, space and serenity.